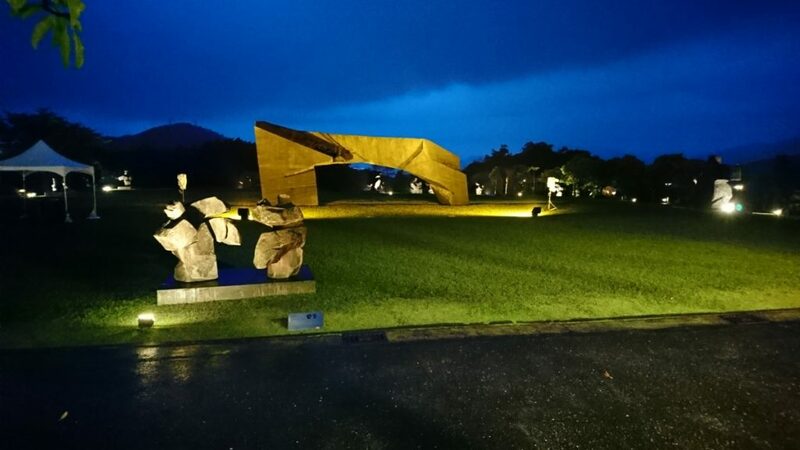 In the past few years, JUMING MUSEUM has held a summer night opening event on the summer and autumn weekends. 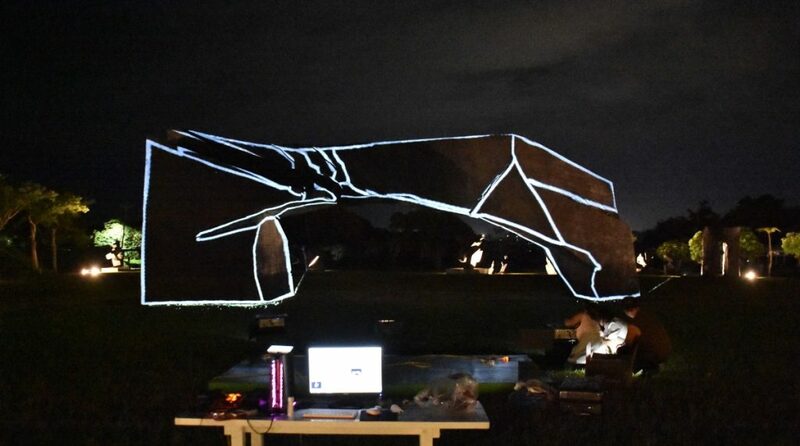 This year, the museum decided to use the “projection mapping” as the theme, to let the visitors experience the extremely difference between the night and the daytime when stay at the Museum during event days. 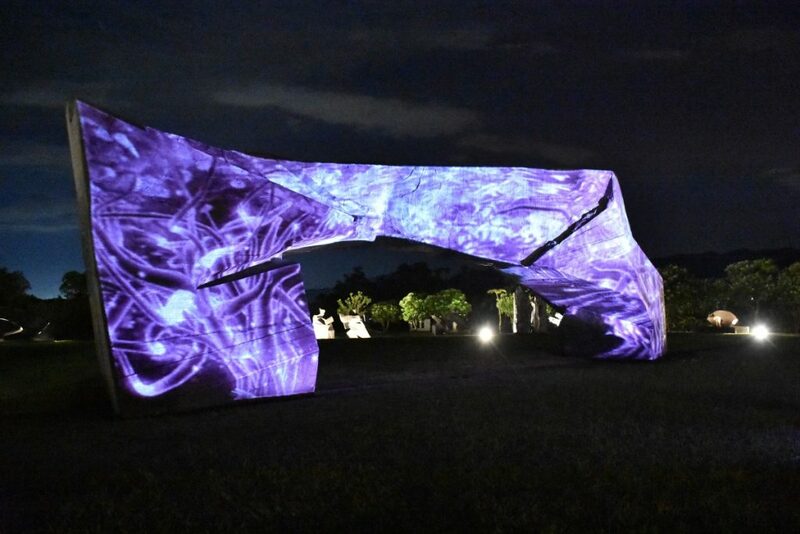 The projection mapping event is located in the Taichi Arch area of the outdoor square, and it is projected on the Taichi Arch with a width of 15 meters, and a height of 6 meters. 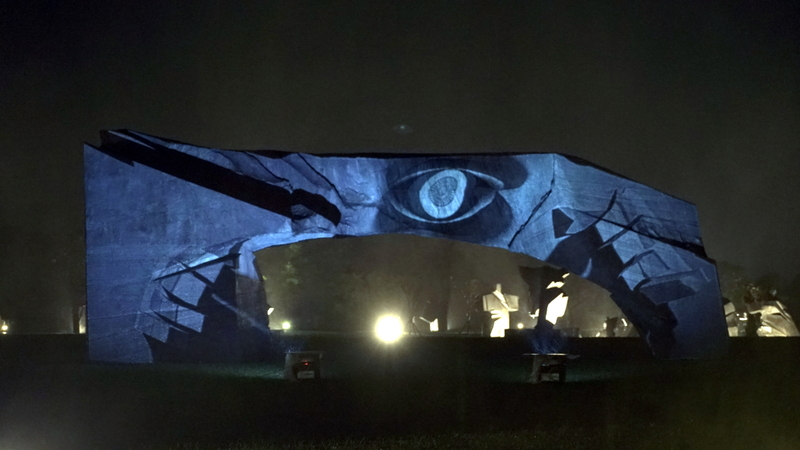 The projection mapping content design needs to match with the special size of the arch, and needs high brightness, color-accurate projector for brilliant projection mapping results. The outdoor projection environment is susceptible to interference from ambient light, gusts and moisture, and the protection and shielding of the equipment issue also needs to be resolve. 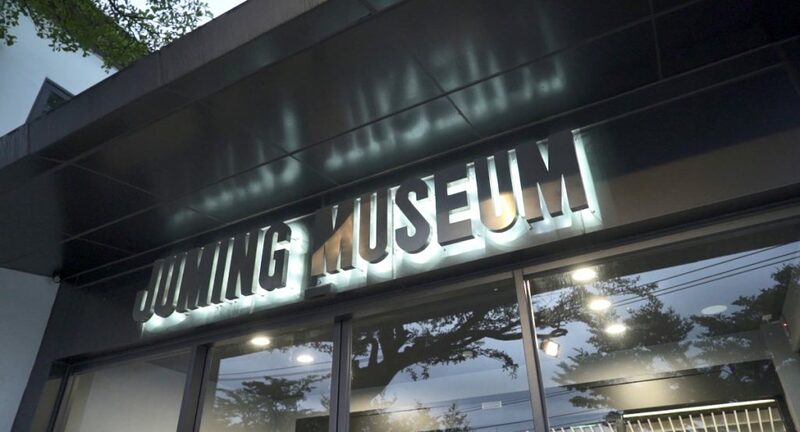 Originally considered to set up in a hanging projection mode, but worried about affecting the visuals of the masses, the museum organizers decide to adopt the desktop projection mode, but the projection shadow issue needs to be solve as well. 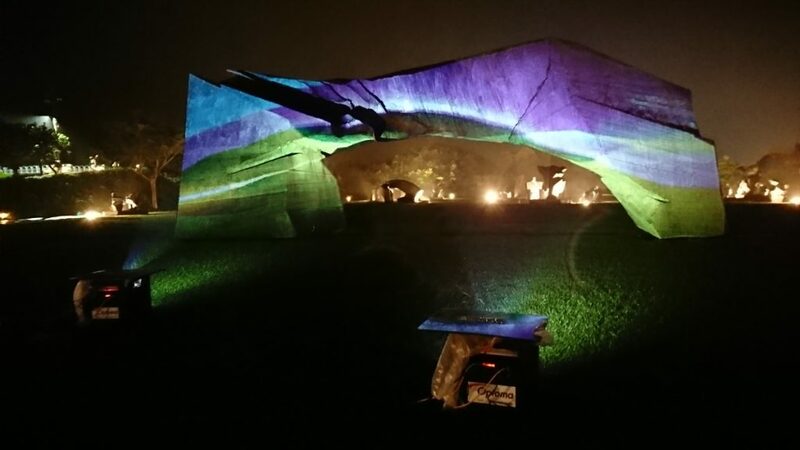 Considering the huge size of the Taichi Arch, recommends to use two X515, 6500 lumen engineering projectors with high brightness, Amazing Color performance and stable performance. After discussion between the two parties, the museum decide to make 2 outer boxes with customized design, to solve the heat dissipation issue, better moisture-proof function to protect the X515 projectors. Both X515 projectors use desktop projection mode, and to use the vertical lens shift and 4 corner adjustment features, and matching with the projection mapping software with accurate points adjustment to avoid projection shadow issue, and perfectly project the contents on the Taichi Arch surface. The Optoma SI team also deliver the projectors to Museum for internal testing much earlier before the event begins and a complete backup project plan for Museum. 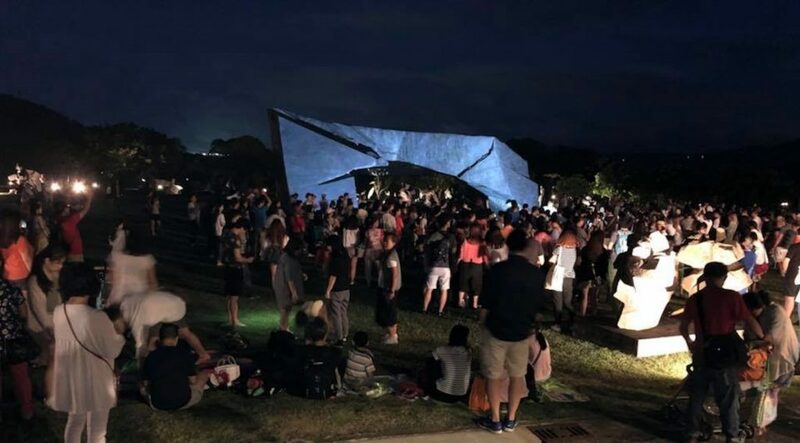 In July, August and November 2018, the JUMING MUSEUM held a total of three projection mapping events, and successfully attracted thousands of visitors, including visitors from Hong Kong. The museum is satisfied with the results and plans to continue cooperation with Optoma. The visual artist representative of JUMING MUSEUM, Mr. XU ZHIMING said, the museum and himself used Optoma projectors in past couple events, and there are rarely technical problems happen while using Optoma projectors, so he can be more concentrate on the content creation. The experience of using other brands of projectors in past, the color brightness performance is not consistent, compared to Optoma projectors with superior color performance, stable operation, he believes Optoma is trustworthy than other brands.